Thank you to Lenka Cathersides for the following information. James Duffield was born in the 4th quarter of 1896 in Dorking to James and Ann nee Hillman. He was baptised on the 15th of November 1896 at St Margaret’s Church, Ockley. At the time of his baptism the family lived in Ockley and James snr was working as a carter. James’ father James was born about 1853 in Rudgwick, Sussex to agricultural labourer Peter, born about 1831 in Billigshurst, Sussex and Mary, born about 1829 in Pulborough, Sussex. James was baptised on the 3rd of April 1853 in Rudgwick. His Ann Hillman was born in the 1st quarter of 1866 in Slinfold, Sussex to an agricultural labourer Jesse, born about 1832 in West Grinstead, Sussex and Rebecca, born about 1834 in Billingshurst. 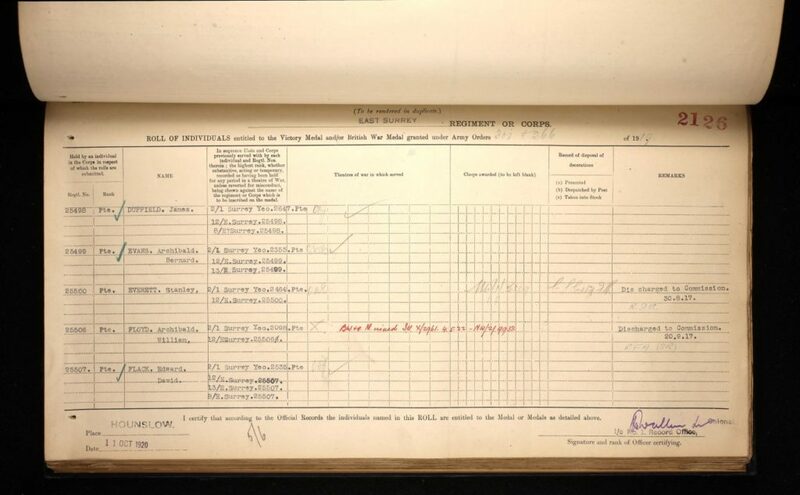 Rebecca was baptised on the 11th of March 1866 in Slinfold. 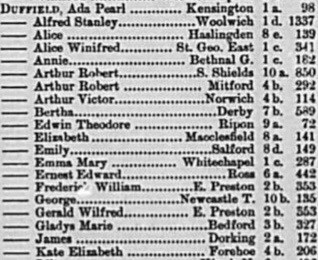 James and Ann married on the 3rd of June 1893 in Slinfold. James Duffield had four known siblings: Richard born in 1895 in Okewood; Annie born about 1899; Mary born about 1902 and Kate born about 1903, all in Ockley. 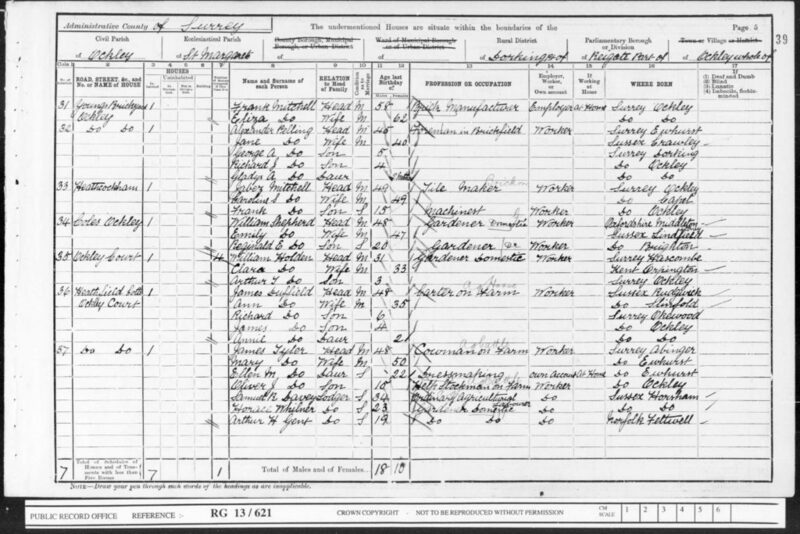 At the time of the 1901 Census, the family lived at Heathfield Cottages, Ockley Court, Ockley. James Snr was working as a farm carter and Ann was at home looking after their children: Richard, James and Annie. 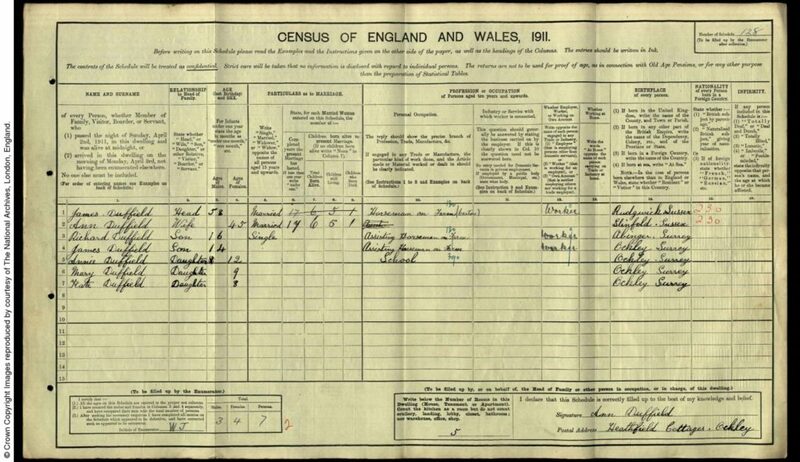 At the time of the 1911 Census, the family were still in Heathfield Cottages. James was working as a horseman on a farm and Ann was at home. The household further comprised of their children: grooms Richard and James, Annie, Mary and Kate. Annie stated that she had given birth to six children of whom five were still alive. The accommodation had five rooms. James Duffield enlisted in March 1915 in Clapham, Surrey into the 2nd/1st Surrey Yeomanry Queen Mary’s Regiment. He was a Private with regimental number 2647. Previously to joining the Army he was employed by Mr W. A. Calvert of Ockley Court Park. He was transferred prior to going to France into the 12th Battalion, the East Surrey Regiment. 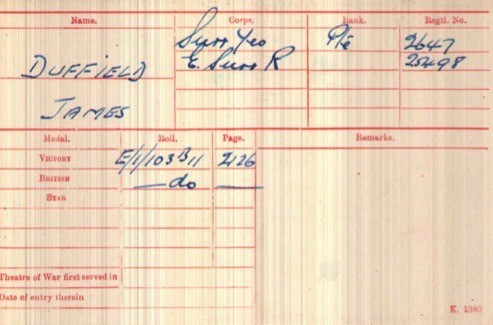 His new regimental number was 25498. At the time of his death he was part of the 8th Battalion, the East Surrey Regiment. James was wounded in December 1917 and returned to France only few months before his death. 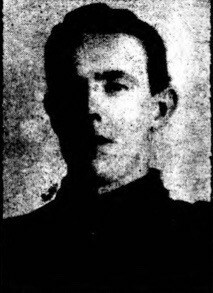 James Duffield was killed in action during the severe fighting on the 5th of April 1918 in France. His body was never found. He is commemorated on the Pozieres Memorial in France on panels 44 and 45. He received the British War and Victory medals. 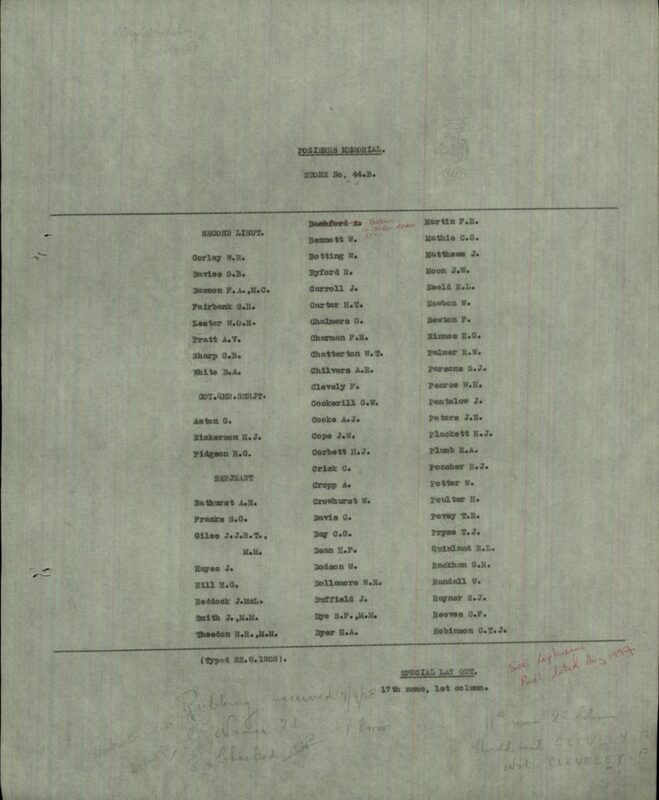 James’ father James Duffield received £6, 5s and 8d on the 7th of August 1918 and a further £13 and 10d on the 29th of November 1919 in Soldier’s Effects. James’s parents lived at Park Farm, Beare Green, Surrey. 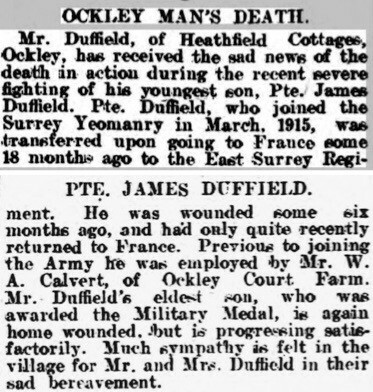 Son of James and Ann Duffield, of Park Farm, Beare Green, Dorking, Surrey. Memorial Pozieres Memorial, Somme, France.